A global leader and advisory organization, HIMSS has successfully incorporated information and technology to consistently improvise healthcare. 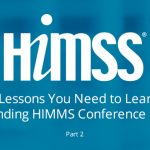 Through our association with HIMSS, we have been exposed to various avenues of healthcare leadership and engaged in building a like-minded community. This community spans over 70,000 members, 600 corporates and 450 organizations. Through our association with this community, during our consecutive attendances at the conference, we have participated and viewed several digital innovations that are aimed at raising the quality of healthcare. It is an exclusive opportunity to gain access to the expertise of various specialists in the healthcare and information technology sectors. Through the various arrangements of the conference, our insight has deepened towards leveraging assets, operational excellence and clinic studies. The tandem is further enhanced through the use of key innovations and technologies that automate and expedite healthcare functions. Below is a list of the key takeaways from our attendance at the conference. Cultural education and the sensitivities related to varying cultures are often not attributed among healthcare providers. Healthcare provisions and caregivers are insensitive to gender considerations. Frequently, miscommunications and misunderstandings are experienced due to the language barriers involved with cross cultural patients and healthcare providers. Security of healthcare information is another barrier, wherein caregivers should be cognizant to maintain patient information privacy. 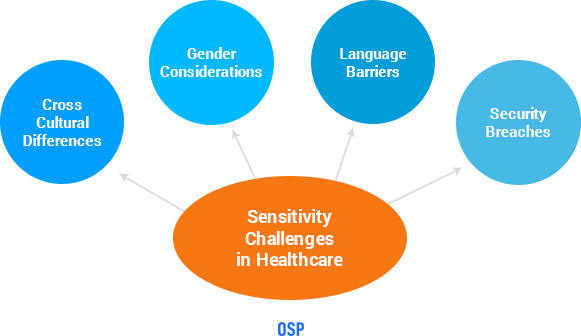 To refrain from miscommunications, caregivers must adopt culturally and linguistically appropriate service levels that are sensitive toward the gender, religious and cultural specifics of the patient. Each patient should be viewed in a partially individualistic manner and their healthcare provisions provided accordingly. Healthcare providers can take advantage of audio-visual tools and counselling for sensitive cases for more efficient communication. With regard to access to healthcare, the literacy levels of a patient need to be factored in, which will go a long way in avoiding insurance lapses. Many a times, healthcare documents are difficult to understand by patients due to illiteracy, inaccessibility to funds, etc. Gender sensitivities need to be carefully considered and, wherever possible, the gender of the patient and the caregiver should be matched. Healthcare counsellors should come into play for sensitive cases of healthcare services. Innovations and new technologies should be embraced to ensure security of patient health information and offers patients with the privacy level deemed necessary for healthcare. Sophisticated cyber attackers maneuver new technologies to get into healthcare systems due to their high level of proficiency. Servers that are dependent on the Internet for accessibility, are prone to attacks that are pervading and lurking on the internet, which is compounded through insecure websites. As technologies improve and develop, so do the methods and weapons for cyberattacks, which make attacks easier to maneuver and execute. SMB vulnerabilities are ignored or not addressed, and therefore remote code execution remains at high risk. This will give the attacker privileged access to the system and the information therein. Susceptibility to a global cyberattack is high and a coordinated attack on the healthcare sector is a real possibility. There has been a noticeable consistent rise in malware that is targeted toward industrial control systems. This puts the healthcare industry right at the center of the threat. Cross device connectivity further increases the risk of attacks through higher accessibility for attackers. Healthcare providers are gaining increasing awareness of the possibilities of threats and attacks and to combat the same, they are investing in security solutions, training of personnel and testing of technologies. Experts are now suggesting that a complete revamp of internet architecture should be undertaken, to further reduce security threats, along with insistence on patching of systems. Consistent improvements should be made toward information sharing and proactive versus reactive methods of dealing with cyberattacks, including awareness of supply chain disaster possibilities and appropriate response alertness. Adoption of predictive analysis should be made a priority toward the proactive steps taken by caregivers. When selecting a technology vendor, caregivers should carefully undertake their due diligence and examine the track record of their selected vendor. Artificial Intelligence has made its entry into the healthcare sector with a bang. However, it still has a long way to go. 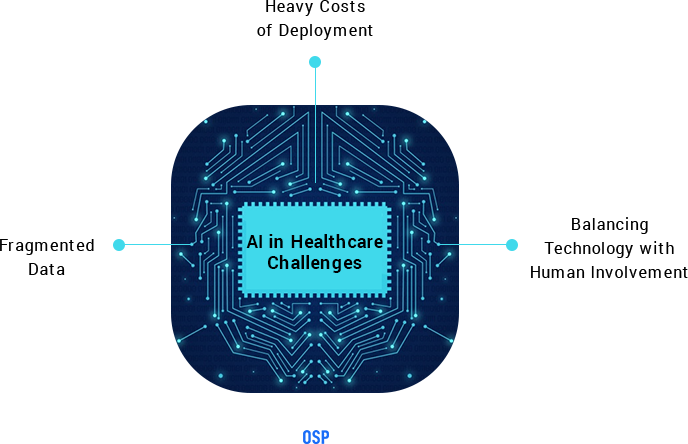 With the introduction of Machine Learning (ML), AI is rapidly creating a mark within the industry, but aligning the technologies with the specific requirements of healthcare, caregivers and patients is still in its developmental stage. The cost involved in deploying and incorporating AI is still quite high. The healthcare industry requires customized innovative systems and the cost involved seems to be a hurdle. Data is plentifully available in the healthcare industry. However, this data is fragmented and unorganized. AI requires meaningful data to make predictions, but this data needs to be functional and organised first. The balance between technology and the human touch in healthcare is a tricky one. Most times, the human mind is able to identify patients that can heal themselves without intervention. This is virtually impossible for artificial intelligence to identify. AI is posed to completely transform healthcare as we know it. Through the intelligent analytics of data, it has the ability to improvise diagnostics, create swifter systems, and dramatically reduce the burden of mundane tasks for healthcare providers. With the innovative technologies, AI is capable of creating systems that can categorize and intelligently analyse large volumes of data. The ability of the systems to create meaningful intelligence from unorganized data is steadily improving. With the increasing evolution of Machine Learning (ML), the balance between technologies and the human touch of caregivers will be a seamless association, wherein the machine will be able to respond and analyse on the basis of the information and advice of the caregiver.